The life-sized statue of the Gundam RX-78-2 in Odaiba, Tokyo, was dismantled this week, after years safeguarding Tokyo Bay since it first appeared in 2012. However, before it went for good, its deconstruction crew gave it one last referential huzzah. RX-78-2 isn’t the first giant Gundam statute that’s called Tokyo home—earlier versions of it were temporary attractions in Odaiba and Shizuoka in 2009 and 2010. This version, however, has been much longer lasting, until it was announced late last year that the statue would be coming down after five years of drawing tourists. To those unfamiliar with the original Mobile Suit Gundam, that probably just looks like a giant robot with bits of it missing. But it’s actually an homage to the RX-78-2's final moments in the series, referred to as the ‘Last Shooting’ pose—where it defiantly fires its beam cannon into the air after sustaining heavy damage before being destroyed. The statue wasn’t holding a weapon and wasn’t articulated to move its remaining arm upwards, but the intent was clear: the beloved statue went out just as its fictional counterpart did. Fear not though. 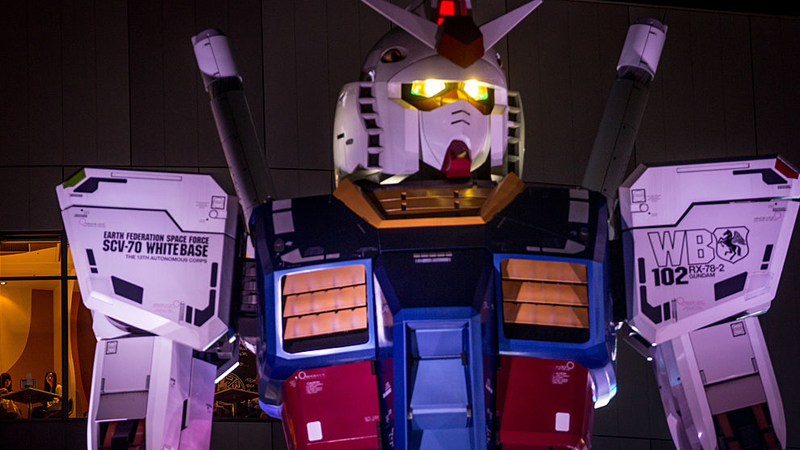 Even though RX-78-2' days are over, a new life-sized statue is being designed to replace it later this year: a nearly 79-foot-tall replica of the Unicorn Gundam from Mobile Suit Gundam Unicorn. Whether its tenure will outlast that of the classic RX-78-2 remains to be seen.